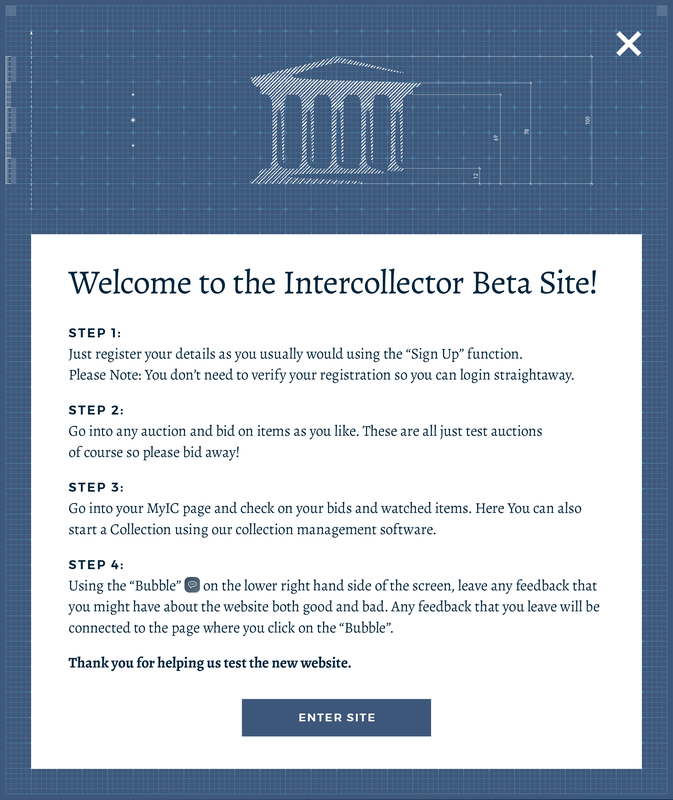 Catalogue and monitor your collections using our free collection management system. Bid on items and sell from your My IC page. Easy export of items in your collections to social media platforms. Keep on top of the current value of your items by using our valuation system. Reach millions of active collectors around the world. Once you are an approved seller, you can send us your item images and details and we will enter it in the most appropriate auction. This way the item stays with you and is only transported if sold. Competitive seller rates. Our rates are better than traditional auctioneers and the process is quick and easy. Simply login or sign up now!